When Steve Jobs returned to Apple, he famously pared down the company’s sprawling product line. Since then, Apple has done a pretty good job keeping things simple. It’s rare for two Apple products to overlap much, whether in utility or price. 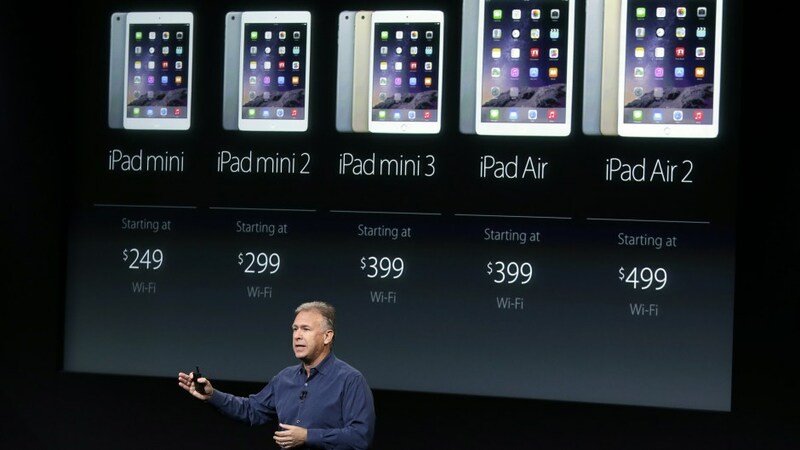 But take a look at Apple’s current iPad lineup, which it unveiled today. What a change! 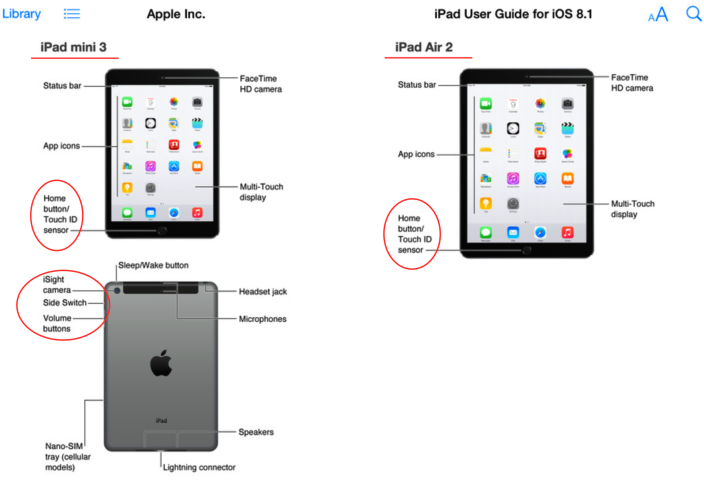 It now offers five different iPad models, in two or three colors each, with two to six different configurations of networking features and storage space. Not to mention their subtle differences in processor, camera, and sensors. The “full comparison chart” is dizzying. But it seems more complex than it needs to be. Of course, you can expect an even more elaborate array of options when Apple starts selling its Watch next year—two sizes, three levels of luxury, and endless bands. But personalized customization makes sense for a piece of jewelry. For a tablet, perhaps less so. 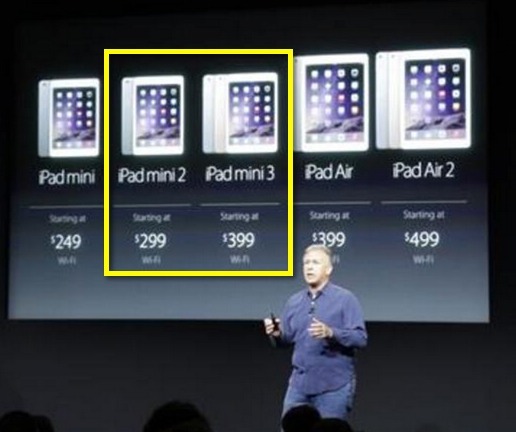 Apple still sells the original iPad mini. Today, they announced that not only would they continue to sell it, but cut the price to $249, making it the cheapest iPad ever. If they follow their usual pattern of leaving the iPad line as-is until next fall, the iPad 2’s internals will live on for 4.5 years. In 2011, the iPad 2’s 512MB of RAM, non-Retina display, and A5 CPU were impressive. Today, these specifications are frustating for app developers trying to push the boundaries of what mobile devices can do. Worse, customers replace their iPads more slowly than they do their phones, so these old iPads will be in regular use for a very long time. Maintaining support for the A5 while simultaneously trying to take advantage of the iPhone 6S’ A9 CPU is going to hurt. The only thing we can do as developers to disavow support for these devices is require a version of iOS that won’t run on them. 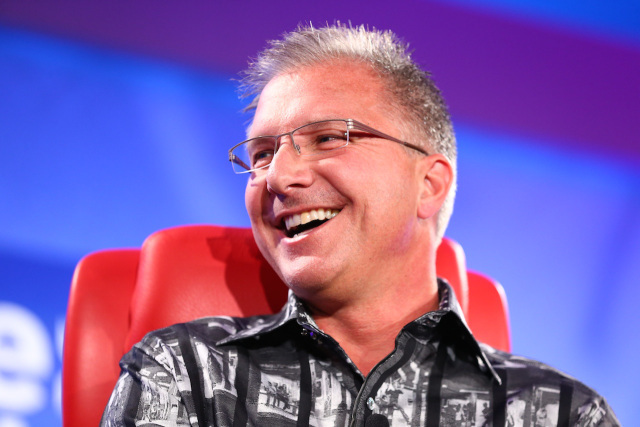 Unfortunately, Apple will surely continue support for the A5 in iOS 9. If they do so, we won’t have a mechanism to cut off support for these old iPads mini and iPods touch until iOS 10 has reached wide adoption, likely in early 2017. 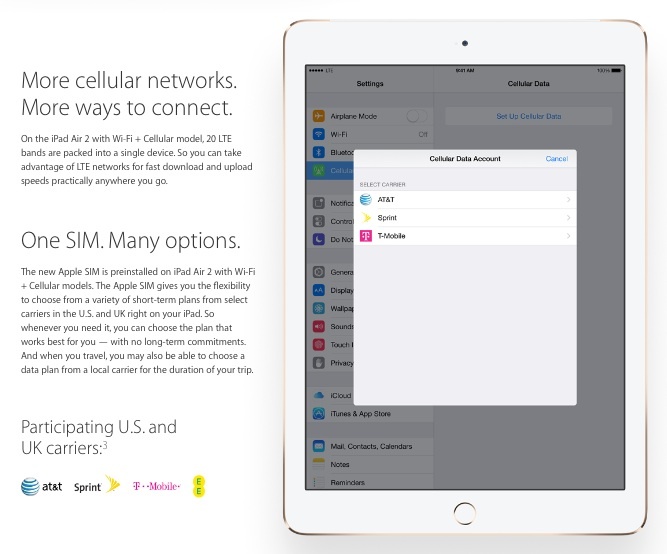 Apple now has a much harder sales pitch to make for iPad. Why buy an iPad when you could have an iPhone with a screen that doesn’t seem that much smaller than an iPad mini? Why buy an iPad when you can have a more powerful and just as easily transportable Macbook Air? The space between a phone and PC is smaller now than in 2010 primarily as the phone has become more powerful and larger. Tablets are getting squeezed. The past seven years in mobile has essentially boiled down to people discovering which sizes of glass they prefer in their pocket. In 2010, it seemed like consumers would want a phone, tablet, and laptop/desktop, with the tablet eventually replacing the laptop/desktop, although many in Asia and emerging markets disagreed. As phones become larger and more powerful and wearables become more popular, I suspect consumers will be content with just a phone and wearable device. I still see a future for iPad, but it looks more like Mac instead of an all-encompassing mobile device next to iPhone and maybe that is what Apple had in mind all along.